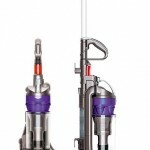 Dyson Animal Bagless Vacuum Cleaner only $329 shipped! 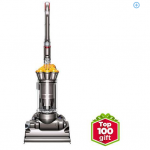 You are here: Home / online shopping / Dyson Animal Bagless Vacuum Cleaner only $329 shipped! If you’ve been wanting a Dyson vacuum cleaner, HURRY and grab this deal! Get this Dyson Animal DC40 vacuum cleaner for just $329 shipped! This is a close-out deal, so it’s available while supplies last only. 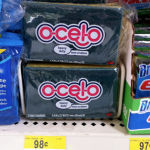 Last week when a similar deal was available on Amazon, it sold out within hours! You’re saving $270 off the regular retail price! The Dyson DC40 Animal upright vacuum cleaner is designed for all floor types including carpet, tile, vinyl and wood. The DC40 Animal comes with a mini turbine head tool to clean pet hair and dirt from tight and hard-to-reach places. 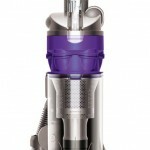 Dyson DC40 Animal Bagless Upright Vacuum 43% off! 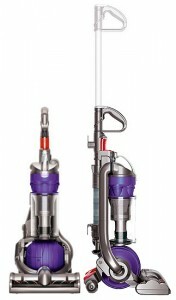 Bissell 3-in-1 Vacuum only $15.81 shipped! 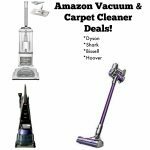 Dyson Vacuum Deals: only $199 shipped!